Single moms can receive help and assistance in all cities and counties across the state of Virginia. Assistance programs aid with free food, housing costs, rent, energy bills, mortgages, free health care, and more. The first line of defense against hunger for Virginia residents and single moms is established by the Supplemental Nutrition Assistance Program (SNAP). Coupons and Electric Benefits Transfer (EBT) cards will help low-income families buy nutritious food. Authorized retail stores will then be the place where SNAP recipients can spend their benefits to buy eligible food. 800-552-3431. Many food banks and pantries throughout Virginia that may also work with local non-profits provide food to families in need. Contact the Central Virginia Food Bank by calling 04-521-2500. In order to provide a variety of assistance, in the form of either emergency or maintenance, which can’t be provided by any other means, the local GR Program was established. Local grants, the federal government as well as state funding, cover the financing for this program. 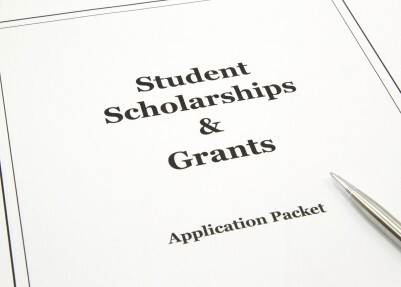 Assistance for dental or medical bills, burial expenses, assistance for unattached children and also interim financial aid are some of the components that the GR program may include. 800-552-3431. A monthly cash payment will be provided to eligible families by the TANF grand program in order for them to meet their basic needs. To learn more about Fairfax County's TANF program call 703-324-3000. Low income single moms in Virginia can be helped to pay for their child or day care expenses through vouchers and government financial aid, but only if the applicant is working, in job training, or attending school. 804-646-7407 for those interested in applying. Various grant programs for housing needs receive help with coordination from this state organization. Funds to pay rental or deposit expenses and free legal aid to stop evictions are included, alongside everything from transitional housing for the low income to assistance for veterans and the disabled. 804-371-7000. Mortgage and foreclosure relief and assistance programs are offered by the state of Virginia to single moms who need help supplying resources that are available at both local town and county level. Dial 866-411-6987 to learn more about the CountryWide Virginia rental assistance program. Section 8 housing choices vouchers are offered by Housing and Urban Development as well as public housing authorities, in the state of Virginia. For the very low income, single moms, seniors, and the disabled, the program can help pay for the monthly rent expenses on low income housing. In Virginia, a number if nationally based non-profit credit counseling organizations have local branches that can help single moms with counseling and more. To contact the National Foundation for Credit Counseling call 800-388-2227. Cash assistance for medical bills, food, energy bills, and other expenses, is provided to low income residents through a number of programs, by the state of Virginia. Case management and longer term self-sufficiency is what this public aid is offered with. Low income single moms and the uninsured are provided with free health care and other medical serviced by the numerous community clinics that operate across Virginia. There are several specialized centers that may offer qualified patients free or low cost dental care, in addition to the ones that may offer dental care, which were mentioned above. Several programs are made available to families who are either underinsured, or who lack health insurance. Government and non-profit resources, including Medicaid, free medications, and health check ups for the uninsured are coordinated by the state of Virginia. In order to enable local communities to provide health care for public assistance recipients who need attention, The Medical Assistance program was established. Single moms that may have insufficient income to provide for the cost of medical care, regardless of the fact that they can meet their maintenance need, can be offered support. These people are known as the medically needy. For more information call 855-242-8282. For the single mothers of Prince William County, Virginia, a free prescription drug discount card is made available. In order to receive significant savings on their prescription medication bills, participants just need to present the discount card to participating pharmacies. The card can be acquired for free. For single moms in Virginia with children, this is a low cost or free health insurance plan. Being managed health care organizations or fee-for-service, this program offers two options to help with paying health care expenses. 866-87FAMIS for more information. Free legal assistance and consultations are offered to needy single moms by lawyers throughout the state as part of various non-profit law firms in Virginia to single moms in need. Call 866-534-5243 to contact the Virginia Legal Aid Society for help. If eligibility requirements are met, financial assistance is provided through unemployment insurance benefits to workers unemployed through no fault of their own. You must have worked in Tennessee during the past 12 to 18 months and have earned at least a minimum amount of wages, in order to qualify for this benefit program. 866-835-6058 for more information on the program. To over 100,000 state employees this program is a unique partnership that provides low interest loans. In order to create this program, a partnership was established between The Virginia State Employee Assistance Fund and the Virginia Credit Union. Your local community action agency offers these services, and much more. Employment services, grants for paying bills, helps for seniors and children, and other aid, are offered by dozens of these non-profits that operate across Virginia. Financial assistance and/or grants are offered by the utility companies in Virginia via a wide variety of programs. Single moms can call 800-230-6977 to find out more about the Low Income Home Energy Assistance Program in Virginia.